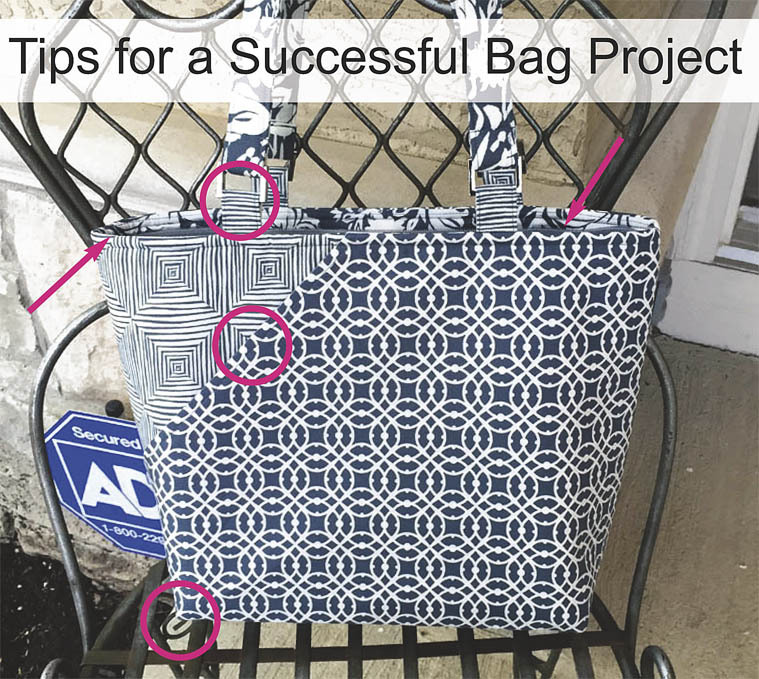 Lazies, Let’s explore a few more tips for this Candice Bag project. To catch-up, use the link at the end to see the previous post for tips 1-3. 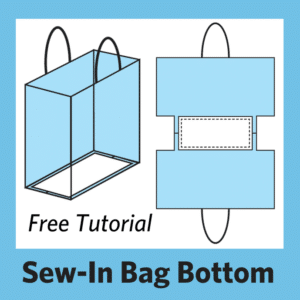 This set of Lazy Tips deal with fabric selection and placement on the outside of the bag. 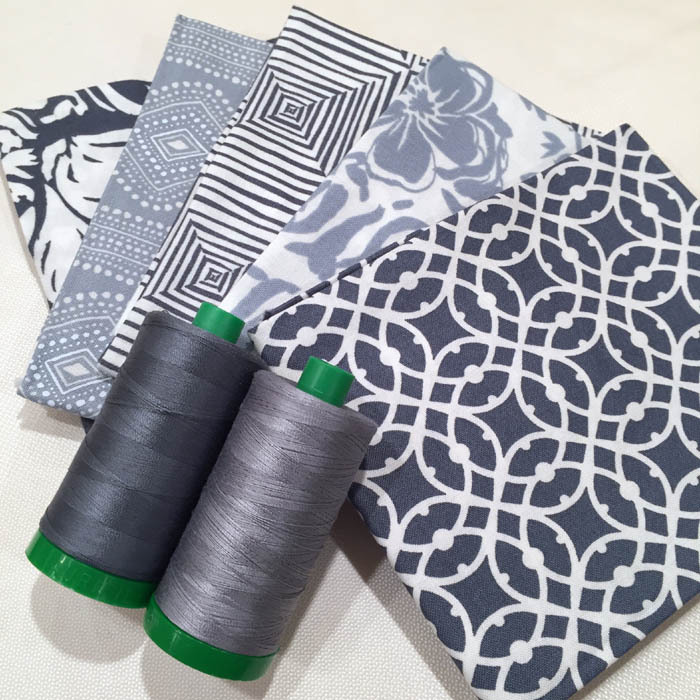 I used the three darker fabrics in this picture below. They are similar in scale, visual interest and intensity. 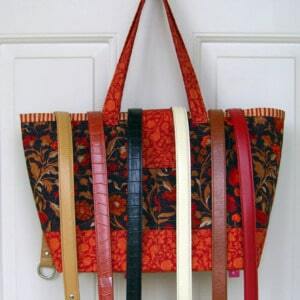 The challenge here is to use the fabrics strategically to emphasize the design of the bag. Call attention to some things, not others. Fussy cut to add drama and get the most versatility out of this limited color/scale palette. The three darker fabrics have: two colors, three prints, two scales. The prints of the two geometrics are very similar in size. The ‘squares’ of each feel the same size visually. Matchy-poo(d) can be subdued…in monochromatic projects. Liven things up, draw attention to detail, and create visual interest with intentional conflict in a monochromatic project. Both prints are fussy cut to abruptly meet mid-repeat to visually pronounce the pocket opening. It strengthens the visual interest of each print, and invites the eye to roam. 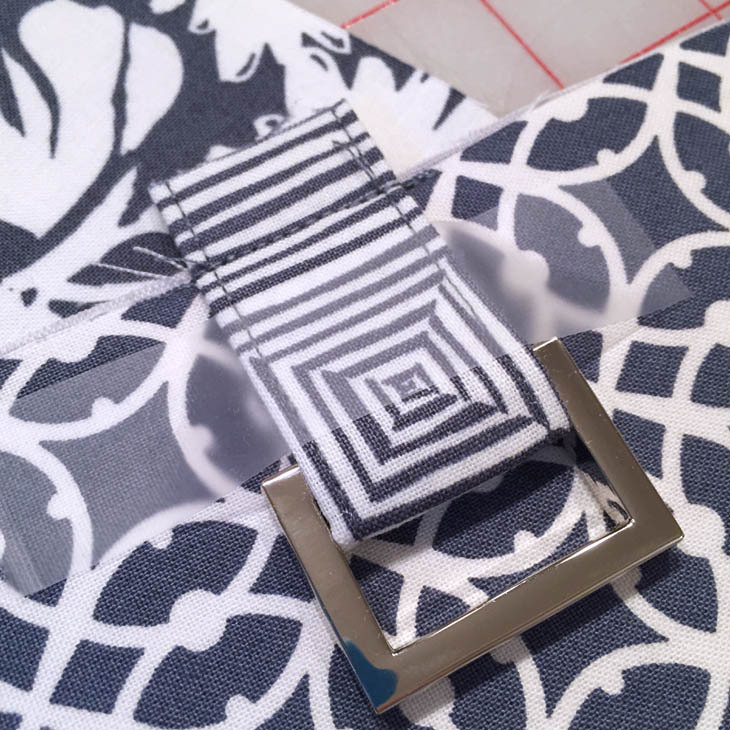 The first inclination might be to have the print repeats meet at the pocket opening. 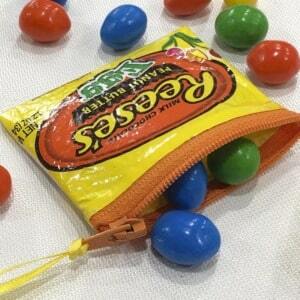 That kills the mystery, hides the pocket, and would resemble a seam. I used two geometric prints for the front body and pocket. The fabrics meet at the pocket opening, which is behind the darker fabric. 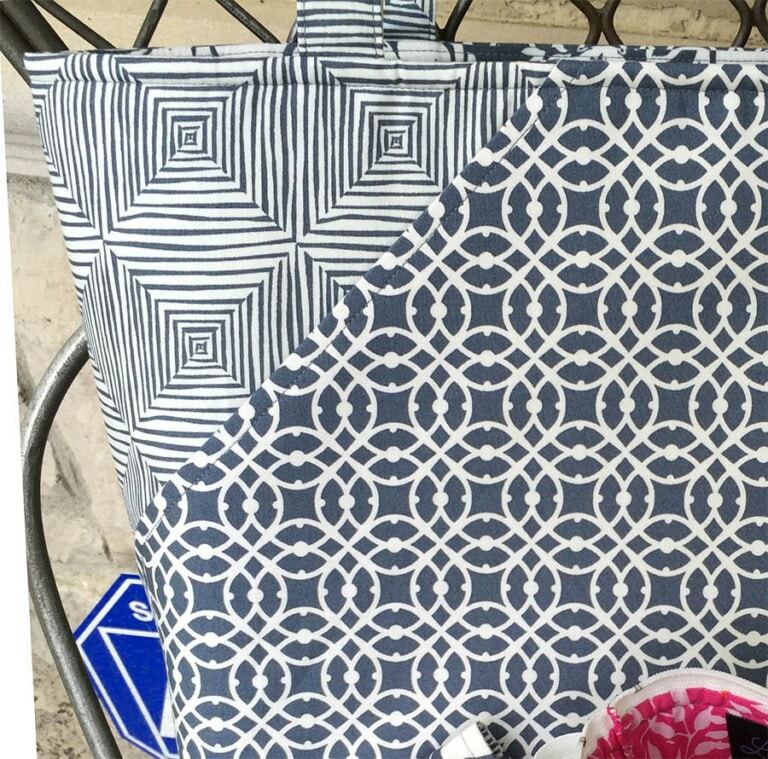 While these two fabrics are very different, they are very similar in their scale and print repeat. With tape, that is. 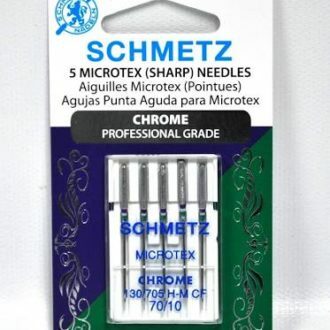 I use Scotch tape instead of pins when attaching straps and handles due to the bulk. Tape is a flat pin, so to speak. 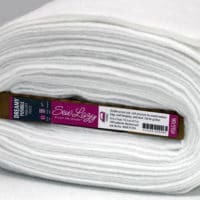 This fabric tab is bulky and it extends beyond the edge of the project. Pinning would distort things. Tape allows me to ‘pin’ away from the stitching area. Yes I fussy cut the fabric, but I did so in order to feature the stripes on the other side as explained in the next tip. 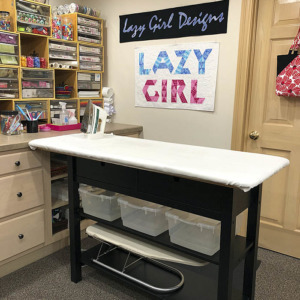 Lazy Tip 5a – Keep a tape dispenser on your work table. The tape is also handy to pick up small fibers and cuttings on my work surface. 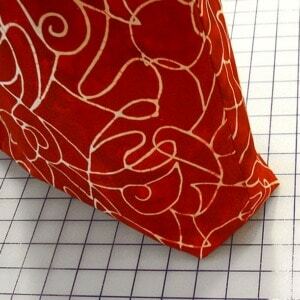 Use scale to draw attention to details when working with limited fabric options or color scheme. 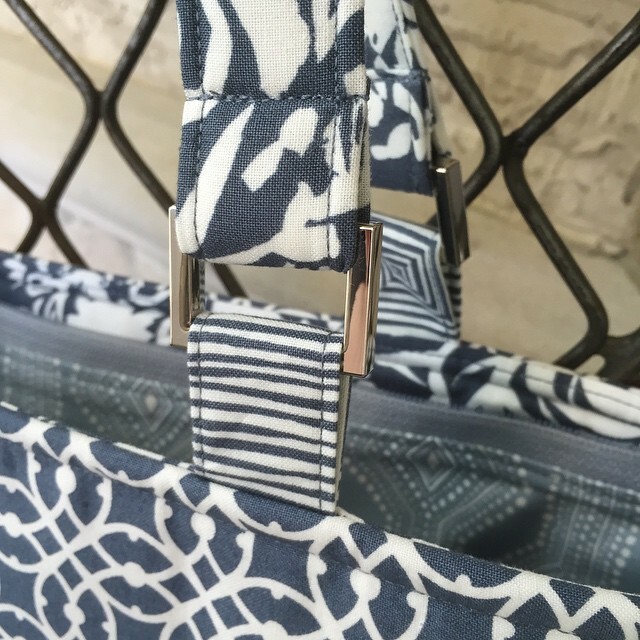 The stripe is fussy cut to highlight the metal D ring and the transition from the bag to the handle. 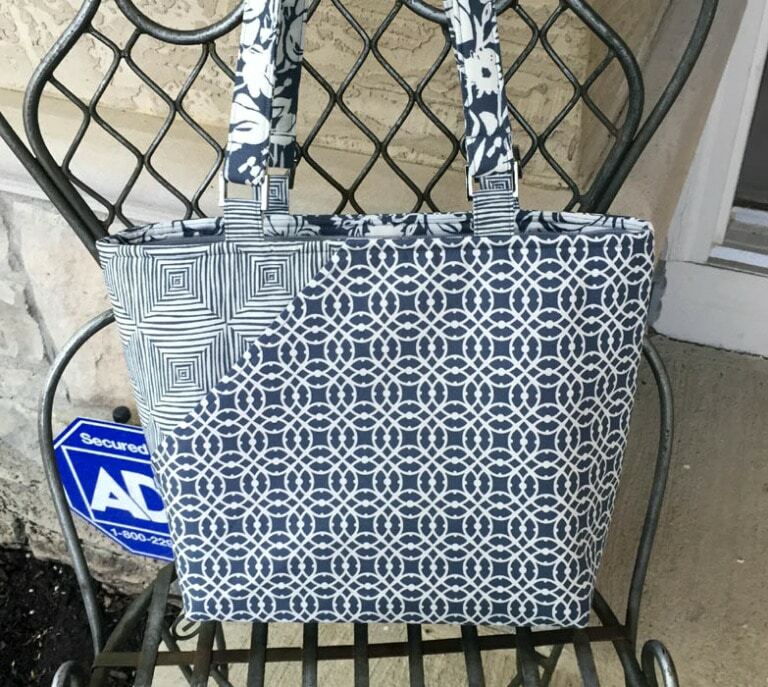 Take another look at our finished bag in the pic below. 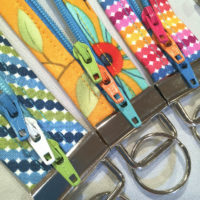 The striped fabric used to attach the D rings offers the best variety from my three outside fabrics at the attaching point and the D ring. Hold the pic away and squint – the straight stripe is visually stronger than the striped square behind it in this setting. The square is more interesting by itself, but the stripe gets the job done in this location. The square makes a lovely surprise on the inside of the bag. It’s unexpected, interesting and easy to achieve with a little planning. Did you miss the first post in this series? Click here to catch up. More Candice-ing in our next post! 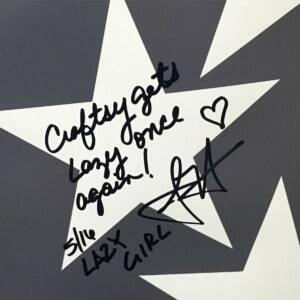 Until then, join me in the new Lazy Girl Facebook Group: Joan Hawley’s Lazy Girls. We are posting and chatting about all things Lazy and more. If you are enjoying these tips, join me all over the interwebs for more Lazy goodness using the links below. 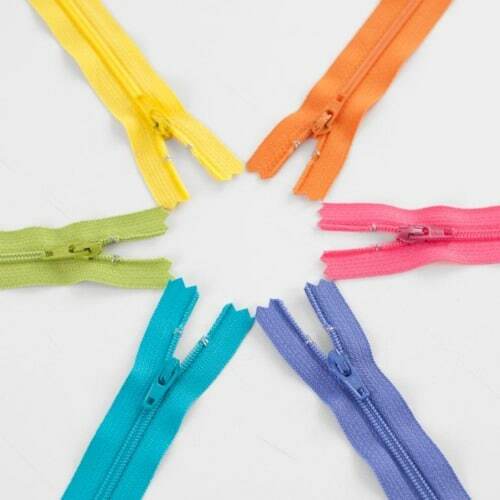 For number 5, I find the Wonder Clips come in just as handy as the Scotch tape… They come in two sizes. Especially the larger ones for this chore. Like it. Will be looking for a pattern soon. And supplies. Looks like something I will be making for friends and Church Bazaar. 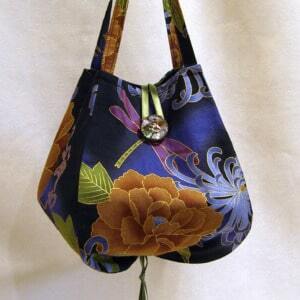 I love the Candace bag, I’ve made 3 of them. Quick, and the instructions are very easy to follow. I’ve adjusted the pocket sizes to fit the items I plan to carry. I made this bag, it was fun to make. I would do another one soon!